The Catskill Mountain gnomes who Rip Van Winkle encountered were fond of bowling and magical brews. 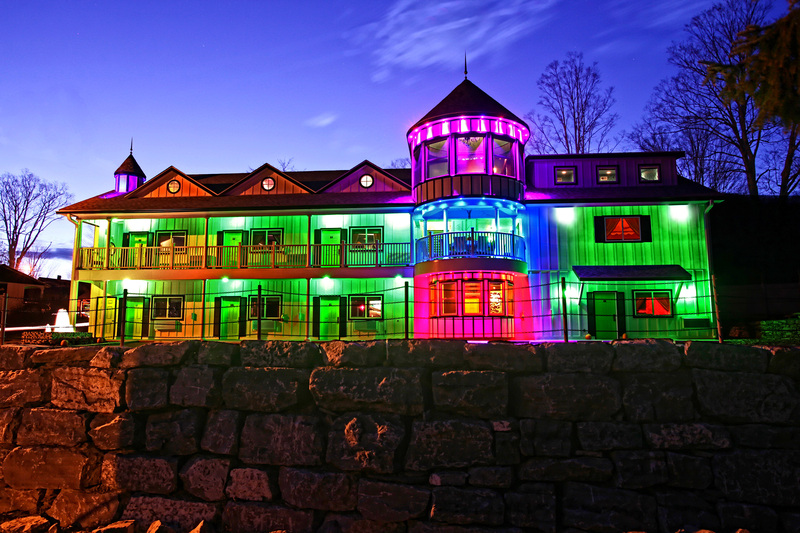 These days they’re hanging out in hot tubs and getting massages after dining in style…of course, still while imbibing magical Catskill brews. 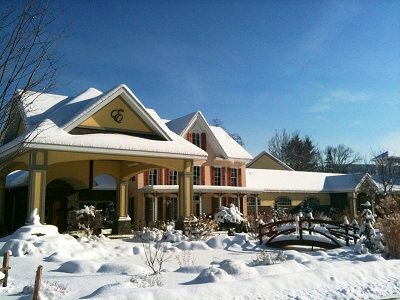 Winter’s the perfect time in the Catskills to indulge yourself in both active and therapeutic recreation. 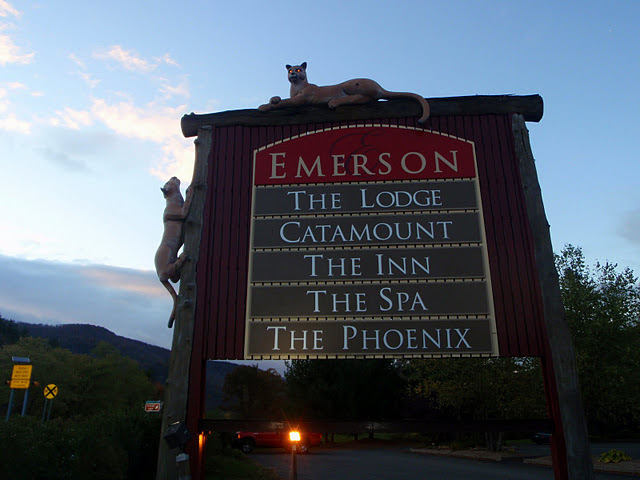 You’ll find luxurious Catskills escapes come in many guises. 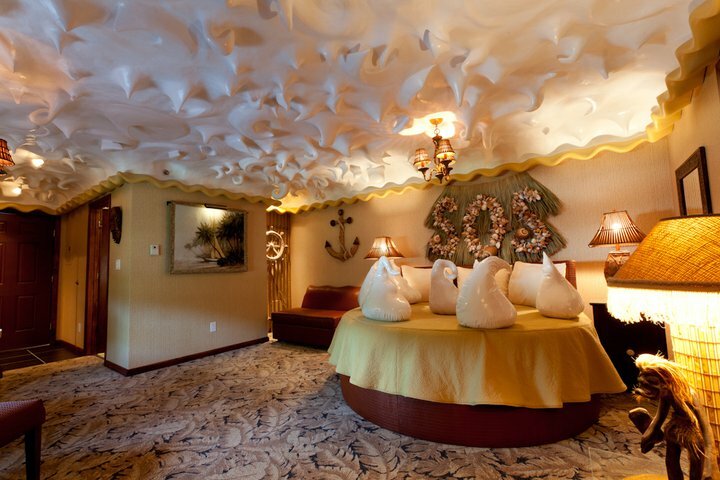 I was fortunate to spend nights at the serene Emerson Resort and Spa and the funky-chic Roxbury Motel. Each is family friendly yet also a sophisticated anomaly in this charming old Dutch colonial haven. 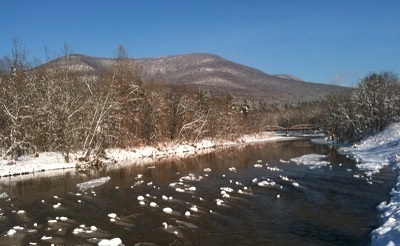 The burbling Esopus River and East Branch Delaware River and rounded mountains are extraordinarily calming. The entire Ulster and Delaware county region is laced with streams and rail beds, many of which carry antique trains or have been converted to trails. These flows continue the formation of the Catskills, which aren’t mountains in the usual sense but rather are remnants of a carved plateau. That’s why so many of these green mounds have nearly uniform height. 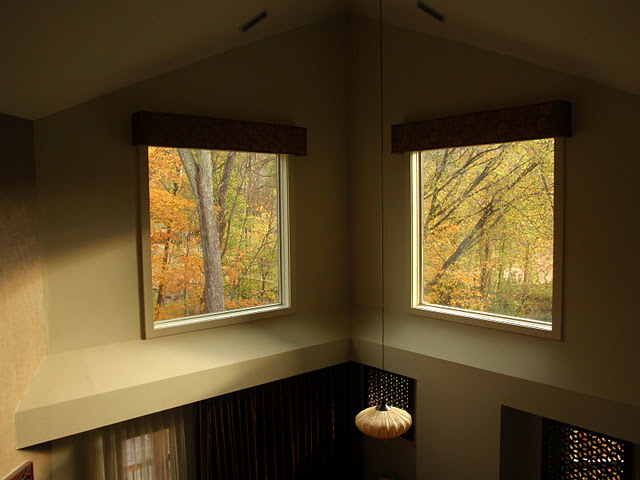 At its core, the Emerson is an ayurvedic retreat. “I thought I’d have to travel back to India to find a space like that,” said my travel companion, who hails from that nation. 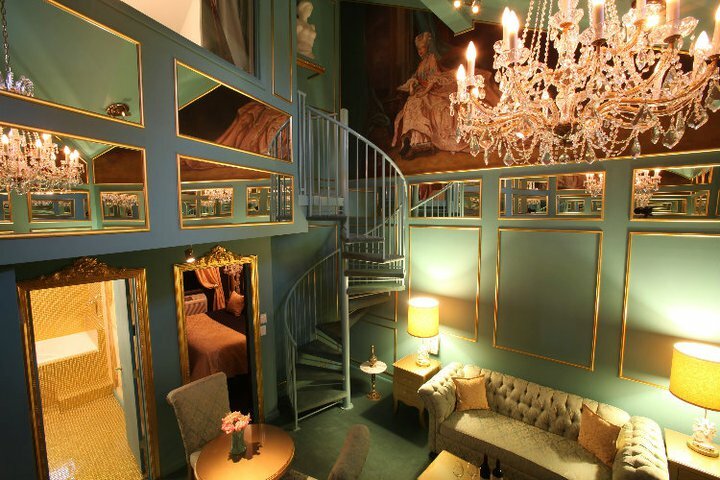 Behind the imported, ancient Indian hand-carved gate at New York’s first Mobil Four-Star Spa you’ll discover ten treatment rooms adorned with antique fixtures and sculptures of deities and a striking raw stone sculpture centerpiece. Guests can stroll between these private sessions and steam showers, saunas, a fitness room, relaxation lounge, and outdoor hot tub. To take healthy wisdom home with you, there are Yoga classes too. When you’re ready for more fanciful fare, dizzy yourself with the world’s largest kaleidoscope at the Country Store just yards away. But steady yourself on your feet for serious shopping — the Country Store is stocked with distinctive jewelry, gourmet delights, glassware, antiques, women’s apparel, furnishings, accessories, and more. 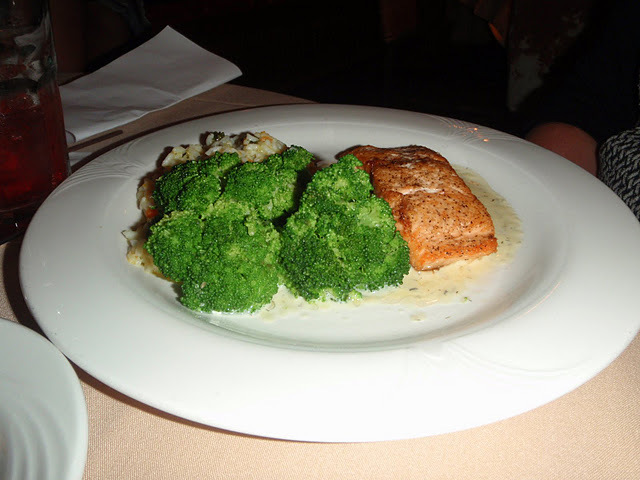 At the Emerson’s restaurants it’s as pleasurable to fill your belly as it is to fill your luggage and spirit. 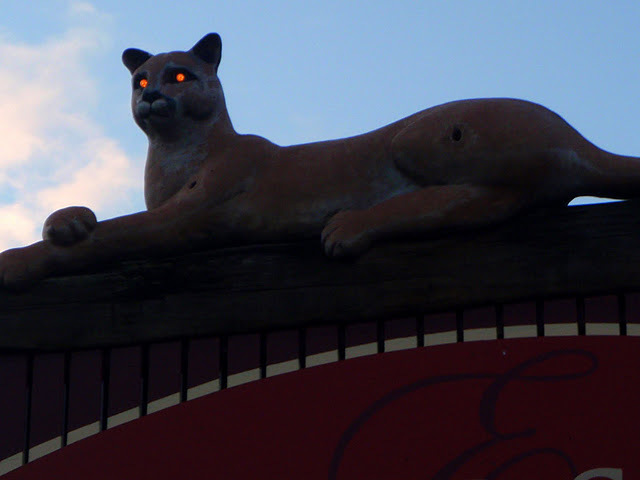 The glowing red mountain lion eyes of the Catamount’s imposing sign announce “carnivores welcome.” But vegetarians and vegans will find very satifying choices. 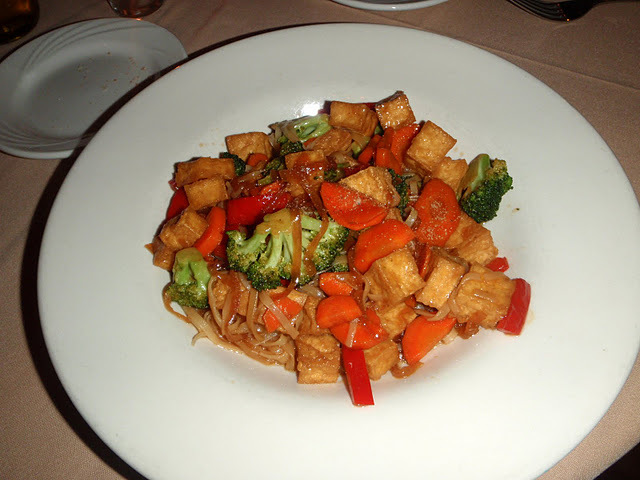 I had the pleasure of feasting on a tofu and veggie stir fry while I enjoyed the company of Lisa Berger of Ulster County Tourism, who had sauteed Atlantic salmon. 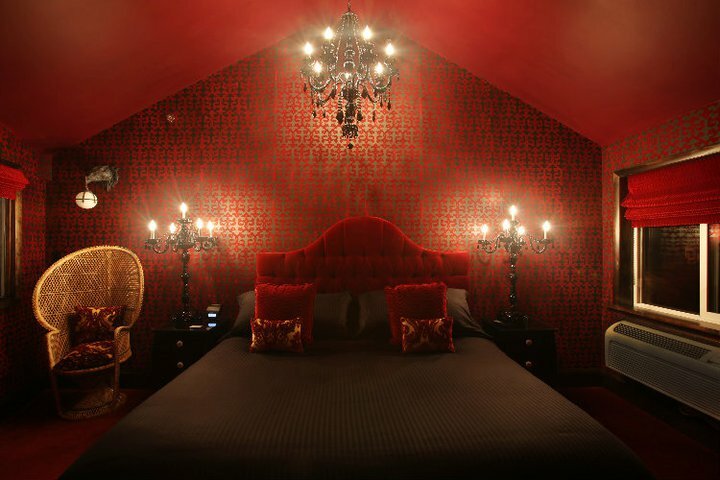 The decor reflects the engaging and fun personalities of its delightful owners, Gregory Henderson and Joseph Massa. The two met through New York City’s theater life and so it’s no surprise that they brought stagecraft to create shared dreams into which they personally welcome each guest. 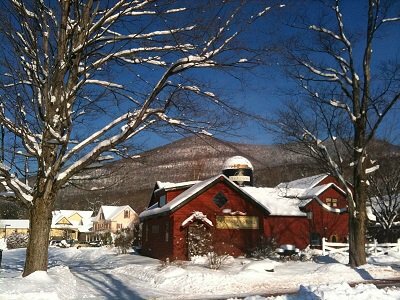 Just contemplate that snowy stream for now, until you too can head up for a spa retreat in the Catskills! 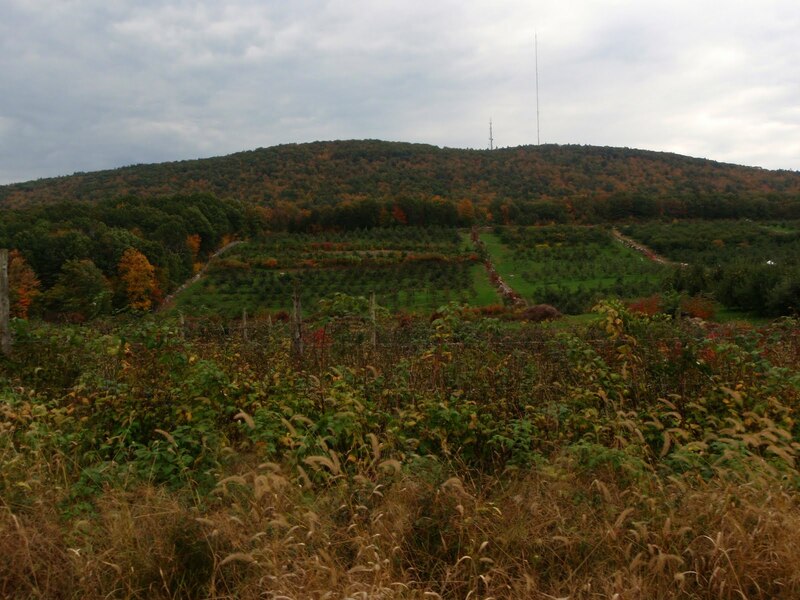 Belleayre Mountain in Highmount, N.Y. is owned & operated by the New York State, Department of Environmental Conservation. Santa and his elves are busy in the North Pole at this time of year, but far closer to home you’ll find snowy fun if you Visit the Catskills! Opening day at Belleayre Mountain was a smash over the weekend and you’ll find numerous skiing, sledding, snowskating, snowboarding and other downhill thrills popping now through the start of spring! Nature watchers can slip quietly into gorgeous scenery on cross-country skis or on snowshoes. Families will love snow tubing too, as much as they love tubing rivers lacing the region in summer. Tubing at Plattekill Mountain Resort in Roxbury, NY. A vacation in the Catskill Mountains will work your body if you choose such active pursuits, but it will also feed and sooth those muscles. The region is home to top rated resorts and restaurants. Stay tuned for next week’s installment on spas and dining! Despite regional flood damage from Hurricane Irene, New York apple country is thriving and our charming villages are greatly recovered. 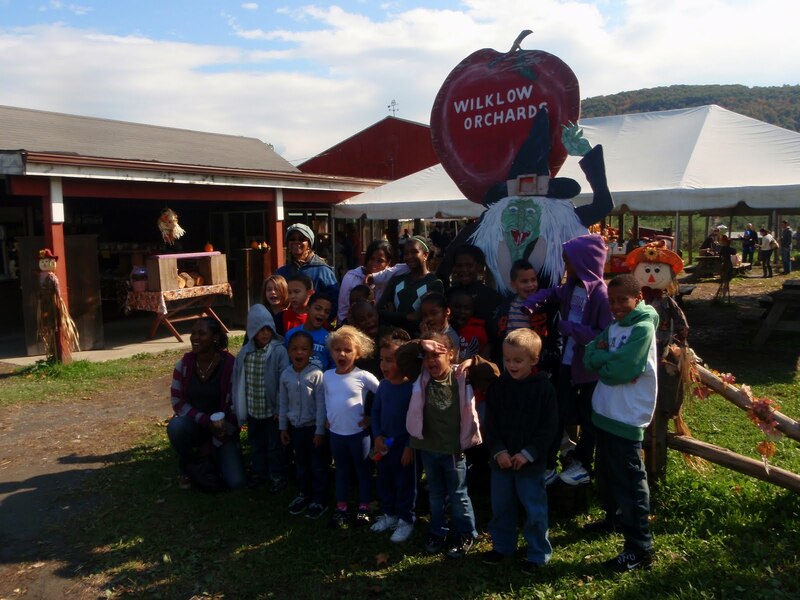 I was thrilled to take 20 kids from Hour Children apple picking at Wilklow Orchards, in an historic area of the Hudson Valley under two hours north of New York City. 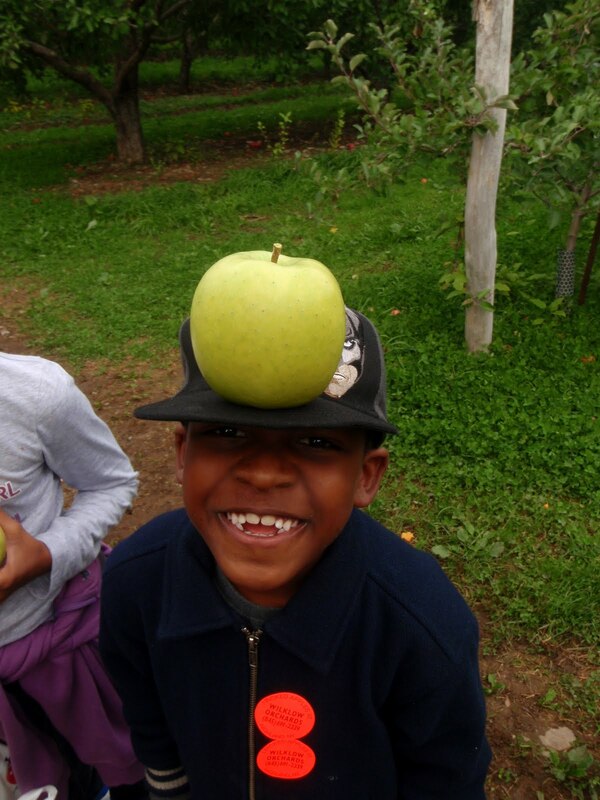 Thanks to a sponsorship from super-chic Z Hotel in NYC and the orchard’s discount, the kids enjoyed a hay ride, hay jump, a greenhouse filled with crafts and inflated bouncy play rooms, farm fresh snacks and carried home bags of apples that they picked themselves! Wilklow is not only kid friendly, but welcomes leashed dogs too! 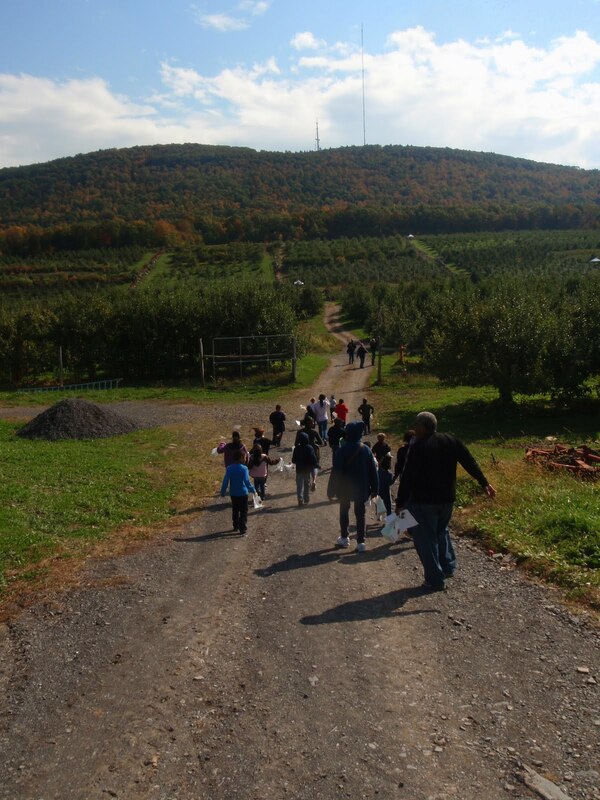 The time is still right to pick apples in New York State, our nation’s second largest grower of this more beloved fruit. 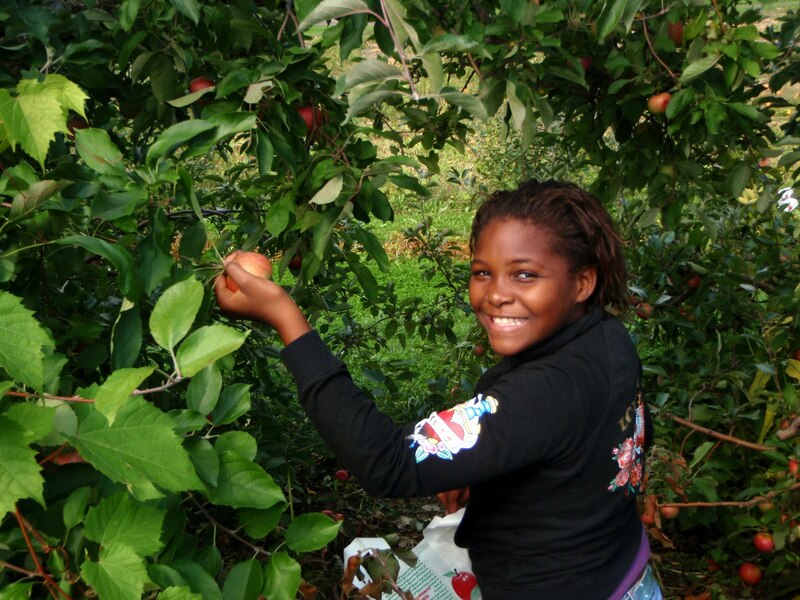 Click here to learn where to come pick your own apples! And every orchard is surrounded by other delightful attractions. You can skip the crowds by visiting a farm on a weekday. 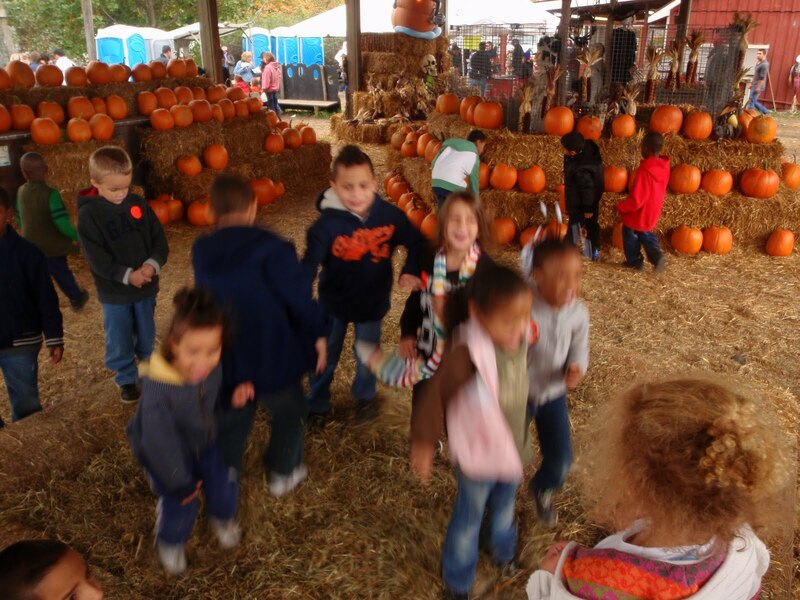 Wilklow Orchards, for example, is open for picking from Labor day weekend to Halloween, October 31st, 9-5 daily. You’ll find a great assortment of apples, including Macintosh, Gala, Cortland, Jonamac, Empire, Jonagold, Mutsu, Red Delicious, Golden Delicious, Rome. I saved room in my bag for gourmet Winesap! For an authentic taste of New York heritage, seek out the Northern Spy. Chefs love this crisp and tasty apple with an uber-cool name and you will too. It originated in New York more than two hundred years ago. 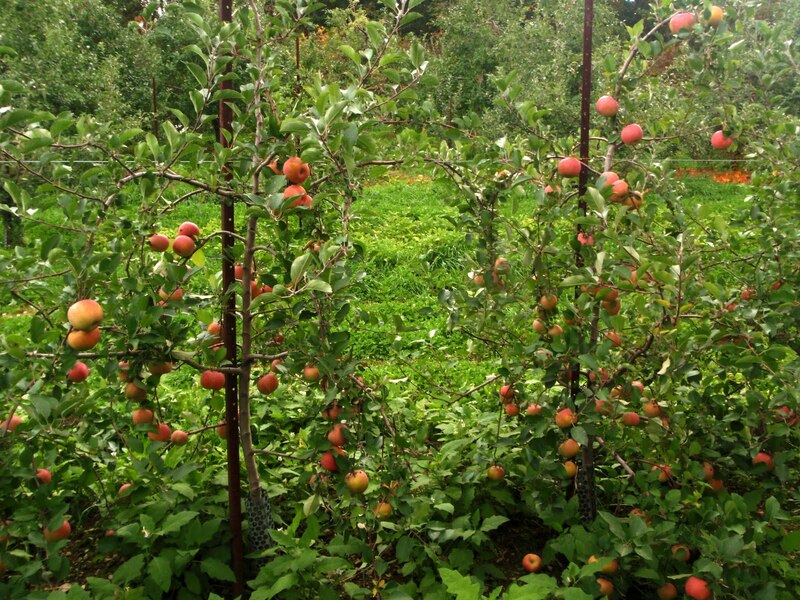 Many orchards will supply you with a pre-priced bag to fill with apples and a “picker pole” to reach high branches, but most trees are grafted to dwarf rootstock. Alexander the Great, who was a wee bit on the short side, is credited with introducing this innovation to Europe from Turkey and Central Asia. 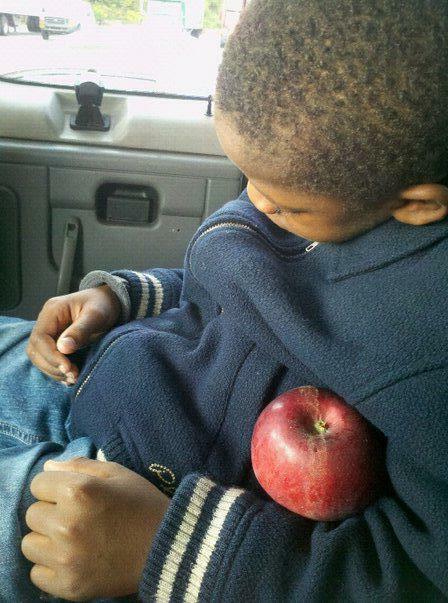 Apples love slopes because water drains well of them. I’ve been planting apple trees on berms in New York City through the Newtown Pippin Restoration and Celebration. 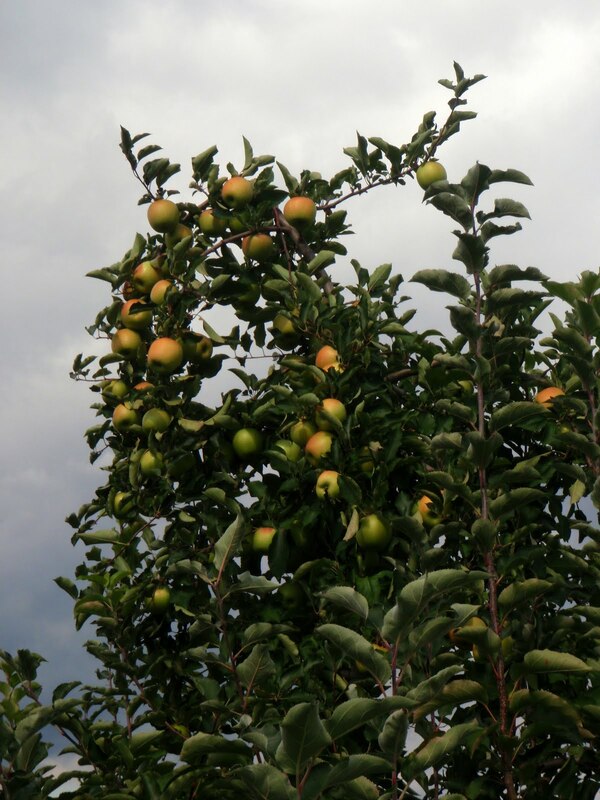 Though in Highland, NY, Wilklow Orchards gave me a little hint of what it might be like to visit the ancestral apple forest, which still grows in the lower Tian Shan (“cellestial” or “heavenly”) mountain range of Kazakhstan. 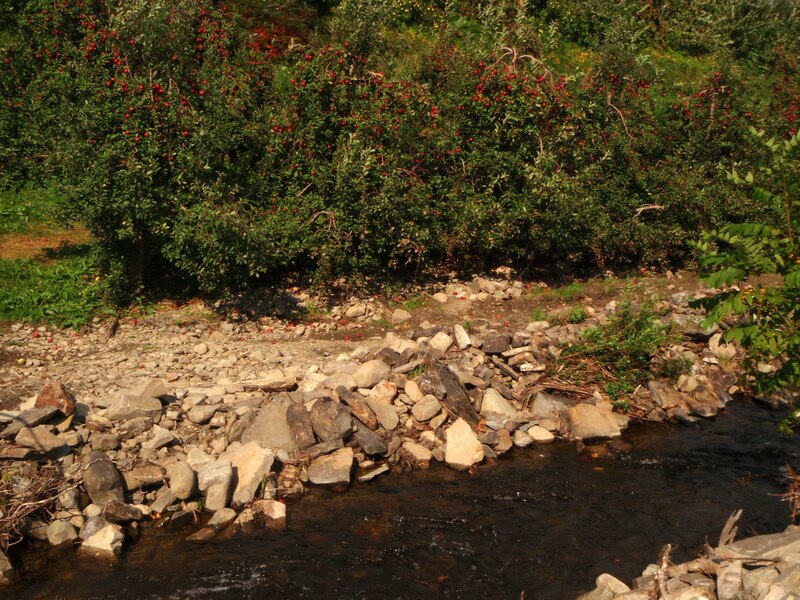 At Wilklow Orchards, two apple rich slopes meet in a quiet and clear valley stream. The kids made a pact to bring snacks and apples for others in their families and at Hour Children to share, and to each contribute an apple for making apple sauce. Their yield was a bit dented, however, when they met some very friendly, curious and hungry goats! 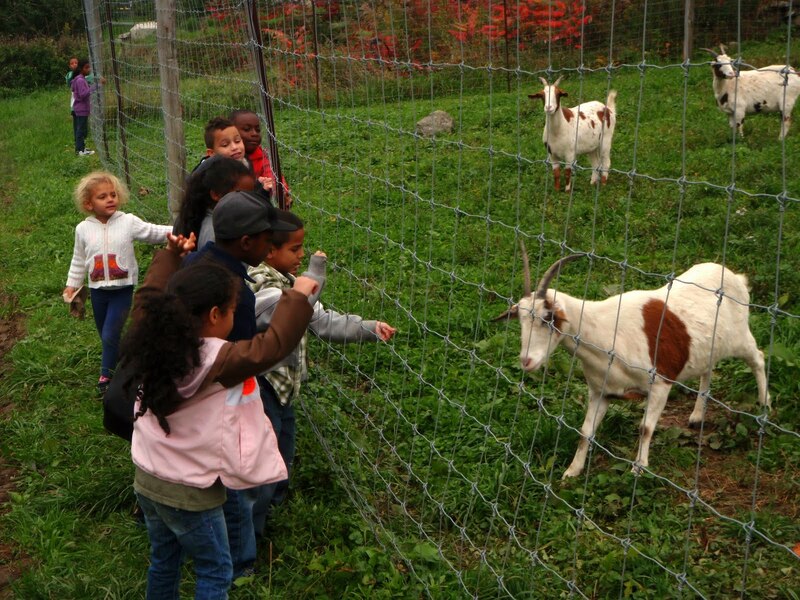 If goats are anything like sheep, however, at least the kids will be fondly remembered. Next the kids burned off some apple energy by romping in the activity greenhouse, which features carnival “bounce rooms” and in the hay jump. 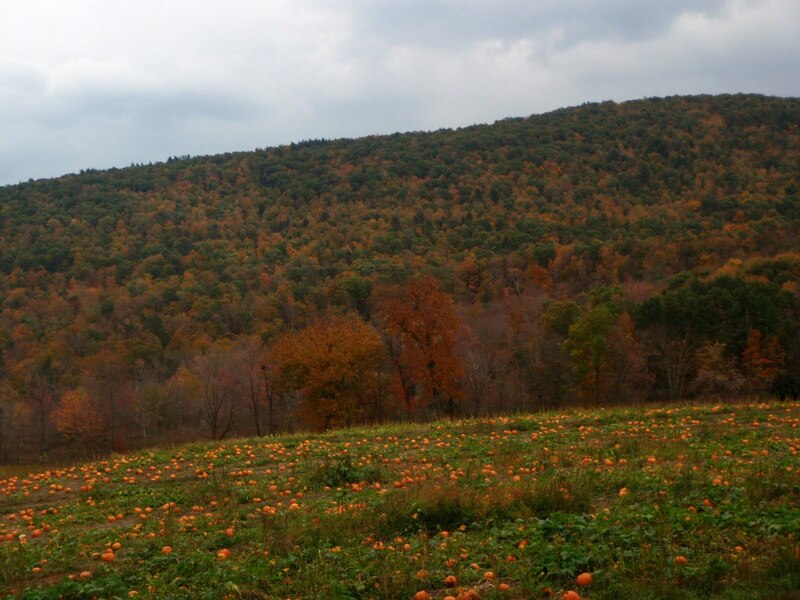 The hay jump’s surrounded by pumpkins, inspiring a yearning to see pumpkin patches! 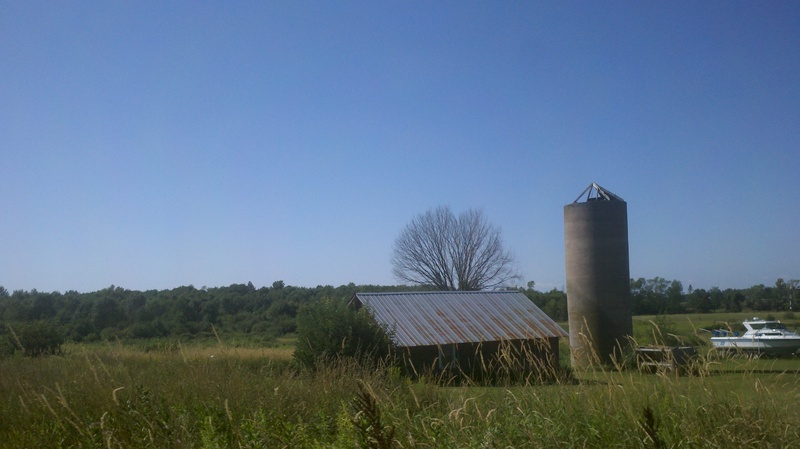 The farm’s hay ride furthered their explorations. 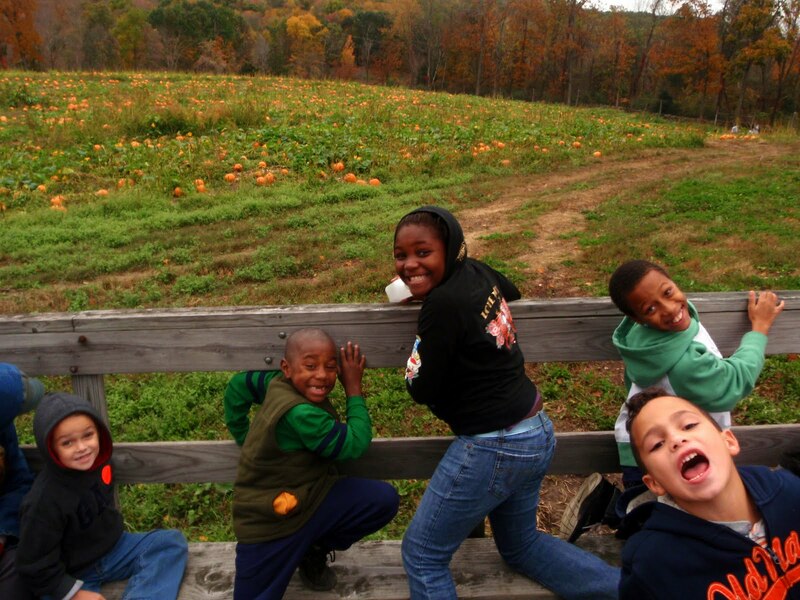 I’m grateful to the Green Heart NY program of I LOVE NEW YORK , the New York State Department of Agriculture and Markets and the New York Apple Association for such a doubly special day — I got to share wonderful places with kids who need these experiences while promoting local farms to boot. Beach plum gelato! 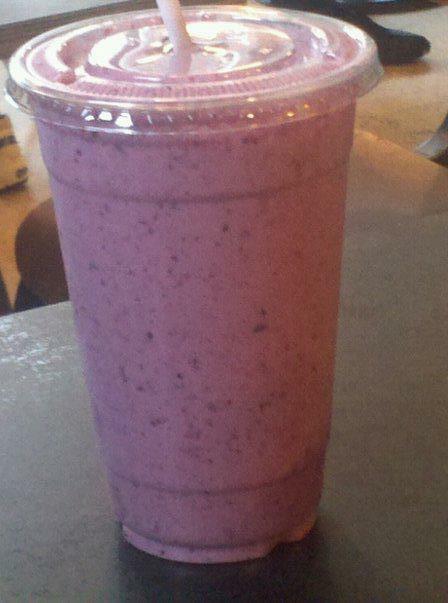 Beach plum smoothies and baked goods! Beach plum jam on toast! Beach plum sauces on entrees! Maybe a little Merlot with beach plum notes? 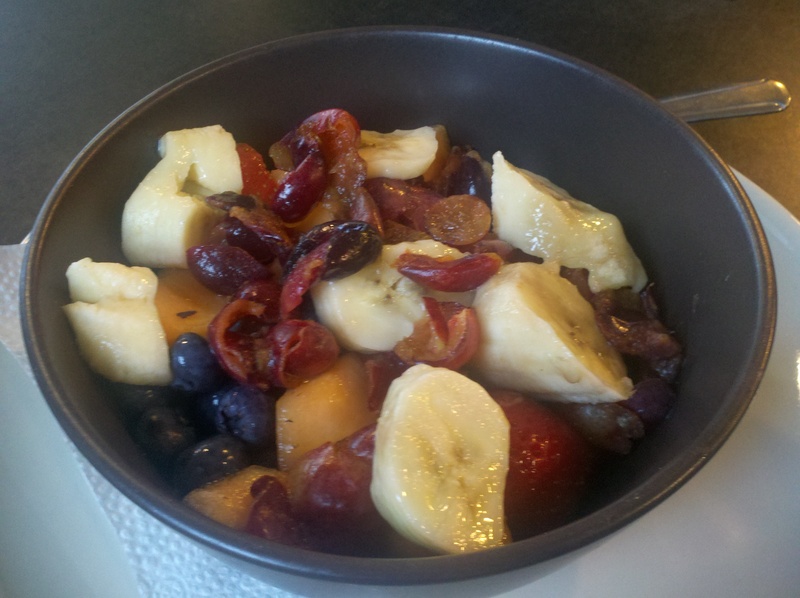 There are many ways to enjoy this native New York fruit and to savor a fresh memory of summer! Beach Plum Week is arriving in Long Island City to benefit the Hour Children Food Pantry! From October 1 through October 9, LIC’s select restaurants will be serving beach plum foods and beverages with proceeds helping to feed 919 local households. That’s 658 children and 1374 adults, 462 of whom are seniors. Food pantries throughout NYC are painfully in the recession’s vise: budgets are slashed while the need rises. To keep up with offers, please visit the Beach Plum Week website. Three restaurants pioneering Beach Plum Week are Sage General Store, Communitea and Manducatis Rustica. Long Island City faces the United Nations from across the East River. Getting to its Vernon Boulevard restaurant row and charming Court Square district couldn’t be easier — just a stop or two on the 7 or E trains. Views across the water are amazing and you’ll discover a vibrant cultural scene. Memo: Account Number 81171 (Hour Children). After you feast, the learning begins. 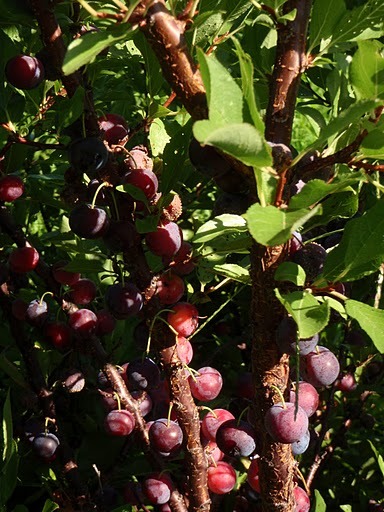 EscapeMaker, a fantastic regional getaway agency, donated $500 through the Greenest New Yorker program of I LOVE NY for public school students with the Greenhouse Project to germinate beach plum seeds. Those seeds come from fruits picked by Hour Children kids at Briermere Farms and served at restaurants. For more about that harvest outing, visit this earlier post. The Greenhouse Project at PS 333, the Manhattan School for Children. Those seedlings will be donated to schools and community gardens throughout NYC. John Prunier of Petsky Prunier personally donated $300 to purchase buckets more fruit, to keep participating restaurants stocked. Amy Hermann drove a car made available for free by Zipcar to pick up the fruit. How many chances does one get to support food security, native plantings, local agriculture and have a blast with fine dining in an artistic neighborhood all at once? Please be part of this great event! The heart of North America is linked to the wild north Atlantic by the Great Lakes, canals and the St. Lawrence Seaway, nearly all accessible from the Thousand Islands-Seaway, Finger Lakes, Greater Niagara and Chautauqua-Allegheny regions of New York. A 518-mile Seaway Trail takes hikers, bikers and motorists alongside it from Lake Erie and out past the Thousand Islands. Dotting the way are historic homes, forts and battle fields, the incomparable Niagara Falls, quaint villages, universities and cultural centers, museums, wilderness refuges and a seemingly endless choice of ice creams! 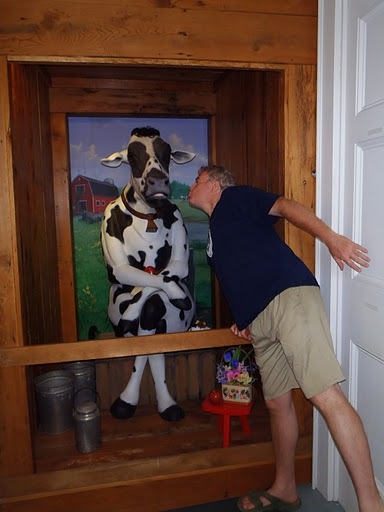 Indeed, a very worthy endeavor for dairy lovers who want to earn their treats as they go would be an ice cream bike tour across northern New York! Naturally, you’ll want to include a regional specialty, frozen custard. Vegans can munch their way across the trail as well, especially during the height of autumn harvest season (see events calendar). 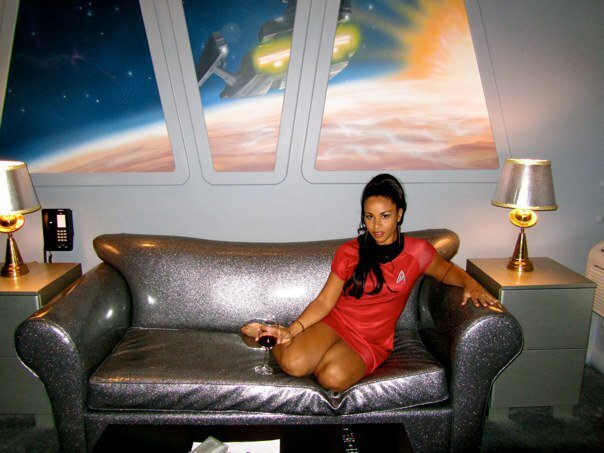 Just plan to sleep in and not drive or ride if you opt for the wine tastings! My introduction to the Seaway was a rollicking citywide party, Oswego Harborfest! Bare Naked Ladies headlined the rock stage, while countless other musicians sharing other genres filled the air around every corner. Crafts and foods kept festive visitors, students and families out strolling and discovering deep into the night. The fest is free for all and lasts four days. 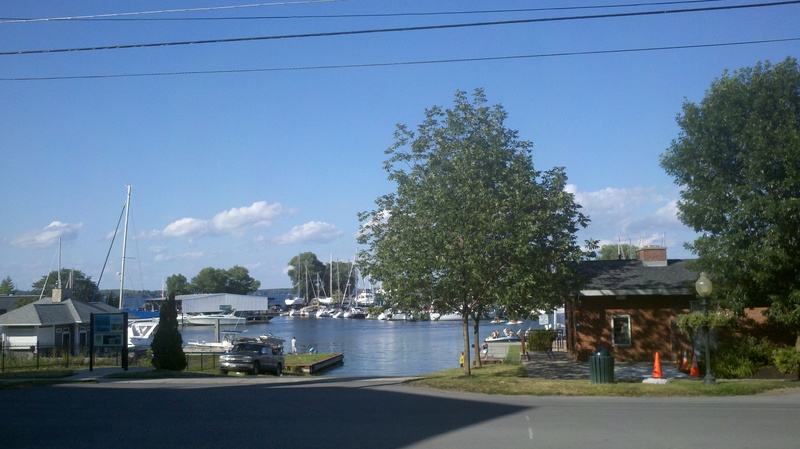 The 2012 Oswego Harborfest will be the 25th (of July), so expect an even bigger celebration. That also happens to be the War of 1812 bicentennial, so keep an eye out for special programs and the occasional redcoat. 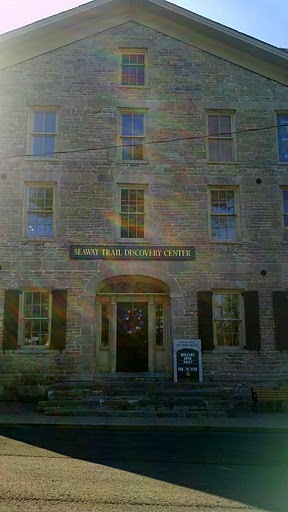 A hub of this unique touring area is the Seaway Trail Discovery Center in far mellower nearby Sackets Harbor. I stopped in with my travel buddy, Ed Hancox to learn more about the region from Seaway Trail, Inc. President and CEO Theresa Mitchell. The Seaway Trail Discovery Center is focused yet eclectic, teaching visitors about this region’s central role in the War of 1812 (more about that in a future post), it’s industrial heyday and continuing agricultural vitality. Kids will love two animatronic figures that neatly capture the Center’s range: Ulysses Grant and a talking cow. After the fun kid stuff, we took a more sophisticated turn by dining with Theresa at Tin Pan Galley. This elegant and intimate, tree-shaded and ivy-covered restaurant features live music, often played by its multi-instrumentalist owner. Tin Pan Galley's greenery, music and arts fused. 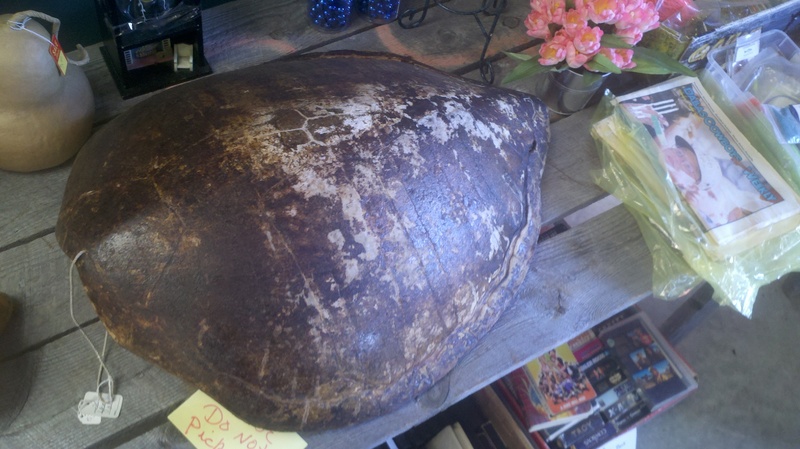 Another informal highlight of the Seaway Trail is the antiquing and flea market bargain hunting one can do along the way. Old industrial row houses and farms yield everyday items from another era — medicine and milk bottles, postcards, glasses, tins and kitchenware and other curios.